One would think that living 45 minutes from the Legionaries’ seminary in Cheshire, Connecticut, makes it obvious why I joined the Legionaries of Christ. That could not be farther from the truth. God first had to go to Scottsdale, Arizona, to call another young man, Tony Sortino, to join the Legion of Christ. My sister lives in Scottsdale. She was a good friend of that young man, now a Legionary priest. One summer, when I was 17 years old, she was passing through Connecticut with her husband, and she invited me to come with her to visit her friend at the seminary. She explained that we would go for Mass on Sunday and then have a short tour, and that would be it. It seemed harmless enough, and since I had to go to Mass on Sunday anyway, I agreed to take the trip. Little did I know that that visit would change my life forever. In life there are certain individuals that make a decisive impact on us. For me, my sister, 13 years my senior, made the biggest impact, particularly in my spiritual life. Once when I was about 14 years old, a hurricane hit the area where I lived. The power went out at our house, but my sister—at this point married and living about an hour away—still had power. My parents decided to take a trip down to her house for a hot meal and a shower. Not wanting to leave, I asked my parents’ permission to spend the night, explaining that I would simply take the bus home the next day. Reluctantly they agreed, and so there we were: just my sister, her husband, and I.
I will never forget that night. We sat up for hours talking about the faith. They explained things I had never heard before (or at least never understood). Now you have to understand: I was Catholic, I went to Mass on Sundays, I prayed from time to time. Still, I was also an average teenager. I went to public school, occasionally cheated on my homework, ran up the phone bills, and procrastinated on just about everything. Here, however, we were talking about the essentials of the faith in a way I had never heard them before. We spoke about everything—heaven, hell, angels, the sacraments—and for the first time I was made aware of the true presence of Christ in the Eucharist and the power of the Sacrament of Confession. On my way home the next day, I felt a voracious appetite to read anything Catholic. I did not have many books at home, but I did have this huge Catholic Bible with a glossary in the back, and so I just started to read entry after entry. The next Saturday I went to confession for the first time since my first confession. A year or two later, my sister and her husband moved to Scottsdale, Arizona, and became leaders in a Life Teen group there. One of the other leaders was a young man named Tony Sortino. 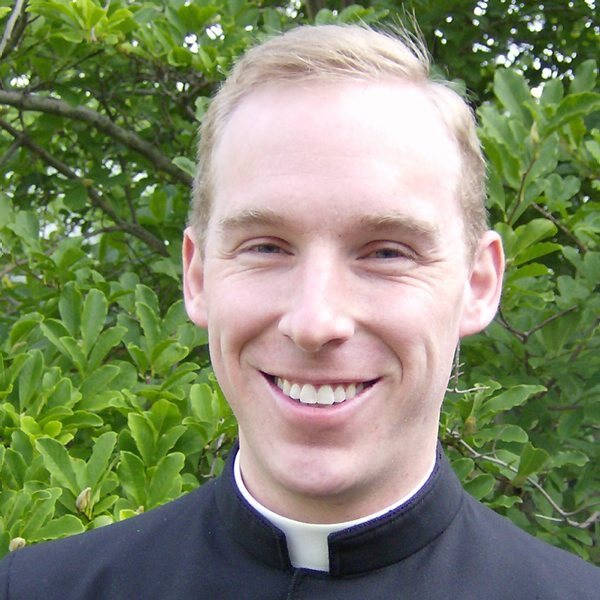 In June of 1994, Tony travelled out to Cheshire, Connecticut, and started his path with the Legionaries of Christ. By this time, I was 17 years old, I had grown a lot in my faith, and my inquiries were getting a little beyond what my sister thought she could handle. She took the opportunity of a trip back East to introduce me to her friend, who she thought would be more capable of answering my questions. The Cheshire Experience: an Introduction to Life. During the five days that followed that visit, I could not get the image of the seminary out of my head. I had the retreat brochure sitting on my bureau. Finally I picked it up and started to look more closely. The title on the brochure was “Test Your Call.” The gist of the interior text was, “If you think you might be called to the priesthood, why not put the call to the test?” I called Brother Anthony, and a week or so later, I found myself back at the Cheshire seminary, this time to stay the weekend. During the rest of that year, I attended two more retreats to solidify that first decision, and on June 25, 1995, after graduating from high school, I joined the Legionaries of Christ. Since then I have studied in Mexico, New York, Washington, and Rome. Fr. Michael Brisson, L.C., was born in South Windsor, Connecticut, on February 22, 1977. He studied at South Windsor High School. 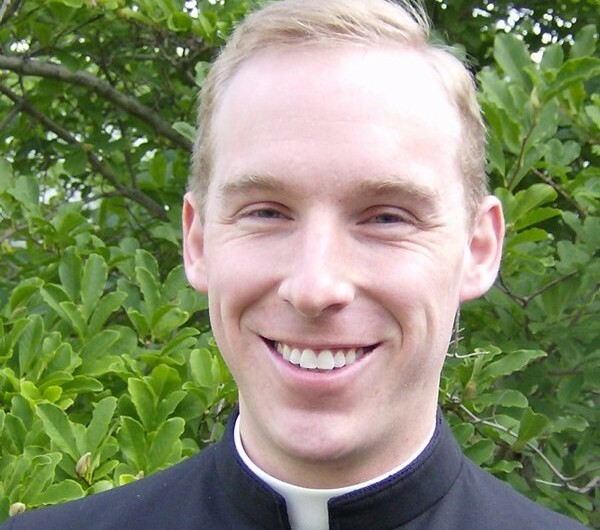 On June 25, 1995, after graduating high school, he entered the novitiate of the Legionaries of Christ in Cheshire, Connecticut. During his 14 years of formation he studied in Monterrey, Mexico, obtained his licentiate in philosophy and his bachelors in theology at the Pontifical Regina Apostolorum College in Rome.